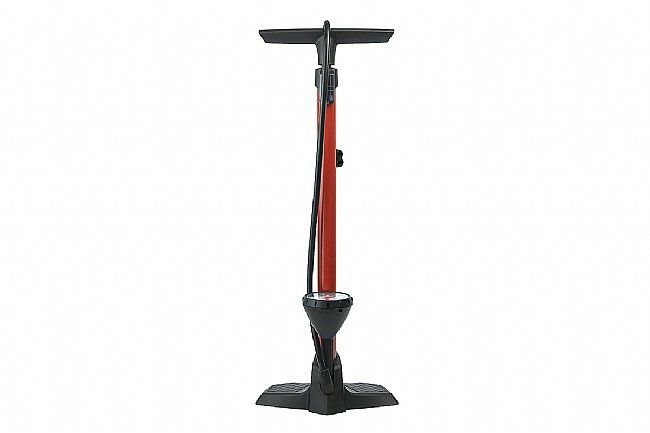 Earn $2.84 in Rewards credit (284 points) What's This? 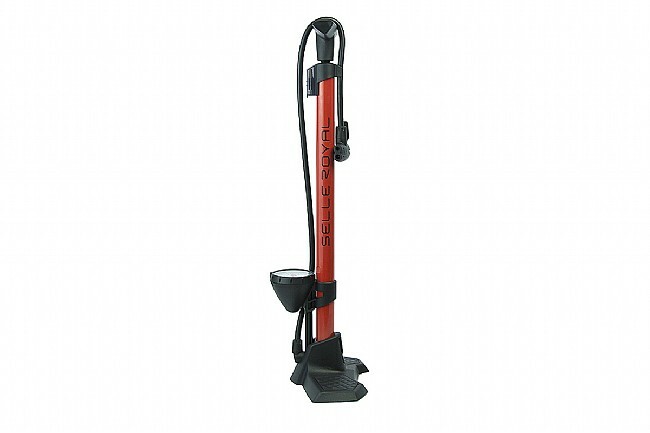 The Royal Scirocco Basic Floor Pump from Selle Royal is lightweight yet durable, featuring a composite base, a 32mm steel body, and a 2.5-inch industrial strength gauge that works with Schrader and Presta valves. 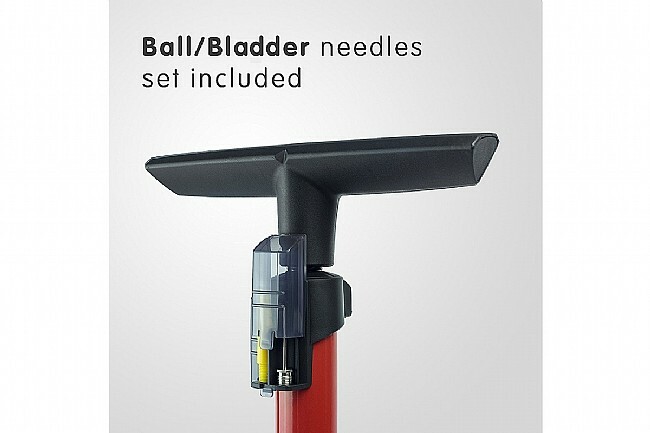 Use this pump to inflate a beach, yoga, or soccer ball with the included ball and bladder needle set that's stored in a compact carry case, making it easy to keep track of all the pieces. 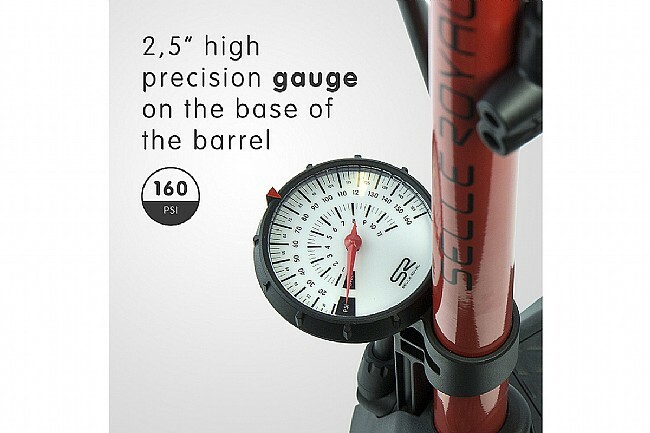 2.5 inch industrial strength gauge on top of barrel. 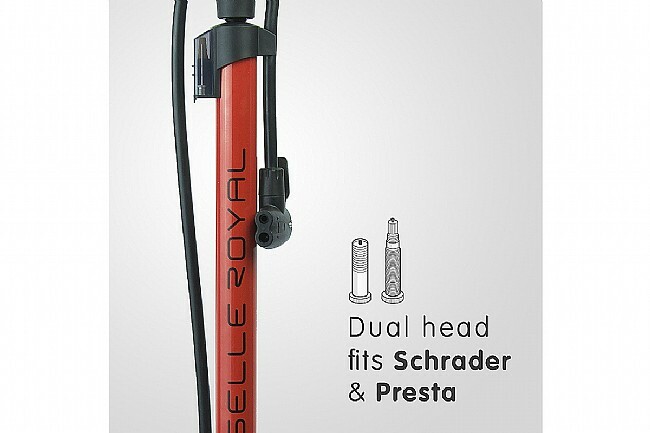 Auto smart head fits Schrader and Presta valves. 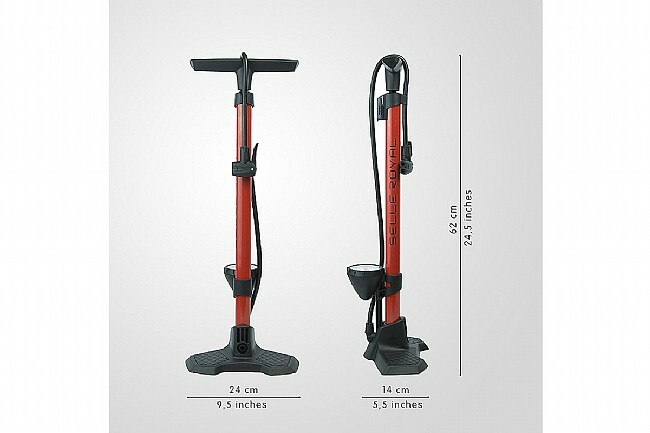 Light and stable composite base.